Some people seem born to play heroes, and other people seem born to play villains. Between torturing James Bond’s testicles in Casino Royale and literally eating people on Hannibal, it seems fairly obvious which one Mads Mikkelsen was born to play. The actor has made a name for himself as the quintessential bad guy over the years, but now it seems that his upcoming role in Star Wars: Rogue One may actually deviate from that trend. No, my character is actually not a bad guy. We have two ways to read that sort of statement. On one hand it means that Mikkelsen will actually portray a character with allegiance to the rebels, and take part in the act of stealing the plans for the Death Star. On the other hand it could simply mean that Mikkelsen doesn’t see his character as a traditional bad guy. Some of the best villains always seem to be the ones who don’t consider themselves evil. It seems incredibly possible that Mikkelsen may see a different sense of morality for his character that extends beyond traditional notions of good and evil into something more opaque. It’s still not much to go on. 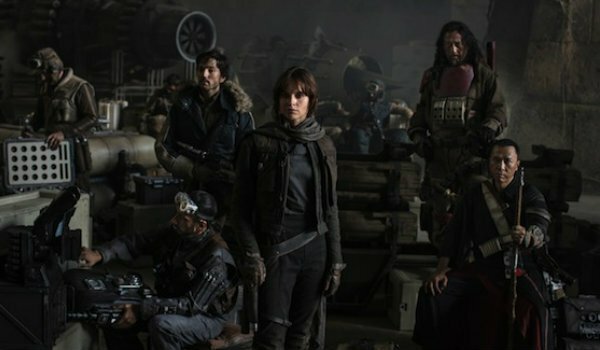 In addition to revealing that he doesn’t consider his character a bad guy, Mads Mikkelsen also revealed that his character is "vital" to the narrative of Star Wars: Rogue One. Whether or not this means he’s portraying a character we all know and love remains to be seen, but it entices us to know his presence will have a major impact on the arc of the film. All that being said, playing the villain doesn’t seem to be something that Mads Mikkelsen can really escape. Even if he isn’t the villain of Star Wars: Rogue One, we already know he has been cast as a villain in the upcoming Doctor Strange movie over at Marvel. If the rumors we have heard turn out to be true, then Mikkelsen may even become the next big bad of the Marvel Cinematic Universe following the defeat of Josh Brolin’s Thanos.